Can I Have Your Attention? 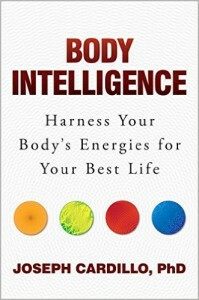 is not your traditional self-help book that offers 12 simple steps to enhance brainpower. Nor is it a book on Eastern Wisdom, spirituality, or conventional meditation. It is an eye-popping adventure that combines ancient, high-speed attention-building processes with cutting-edge attention research in psychology, neurology, and biology. Through Joseph Cardillo’s engaging personal account of the world of human attention–which synthesizes the stories of more than two dozen experts–you will uncover surprising secrets about the workings of your own mind. * You can use your attention to perfect any daily activity–from piano playing to work–related activities to perfecting your golf swing? * In just one-six-hundredth of a second, a random detail you glimpse in the corner of your eye can determine whether you like someone you just met, cause or avoid an accident, make you feel happy or depressed all day, and lead you to succeed or fail at anything you try? * Specifically designed meditation techniques can be used to scan and shift brain waves, altering one’s attention as effectively as electrode-packed biofeedback instruments? * Most importantly, you can train your attention to turn such processes on or off, on command? This fresh look at ancient attention skills and new science will transform your thinking about what human attention is as well as offer a guide to incorporating its insights into your daily life. Can I Have Your Attention? even presents a redefinition of attention deficit and reveals a variety of natural, non-medical tools that can significantly amp up anyone’s attention!